Since it’s Throwback Thursday, we will continue to obsess the loss of Prince. There are various ways to make it through. On the music front, for those who love Prince’s music, we encourage you to check out Unknown Mortal Orchestra who recently Princed-up the Soho stage in Santa Barbara. Their most recent album, Multi-Love, seems at times primarily an homage to Prince (though you will hear other influences), and their concerts repeatedly reminded of his Prince-ness. To get a feel check out below the song and Prince-influenced video for Ur Life One Night. UMO are well worth your time, and particularly when grasping for ways to move forward. 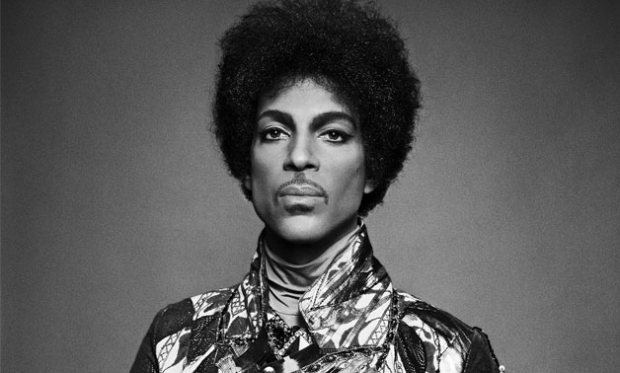 We imagine Prince inhabiting heaven and holding up at least 54 planets. “There’s worries now the fish sing but there won’t be worries long.” Amen. Tanya Olson lives in Silver Spring, MD. 54 Prince was originally published in The Awl. If you like Prince-themed poetry, support the author by buying her first book, Boyishly, which was published by YesYes Books in 2013 and won an American Book Award in 2014. This entry is filed under Music, Poetry.